1. Go to "Membership" tab in the menu bar. 2. 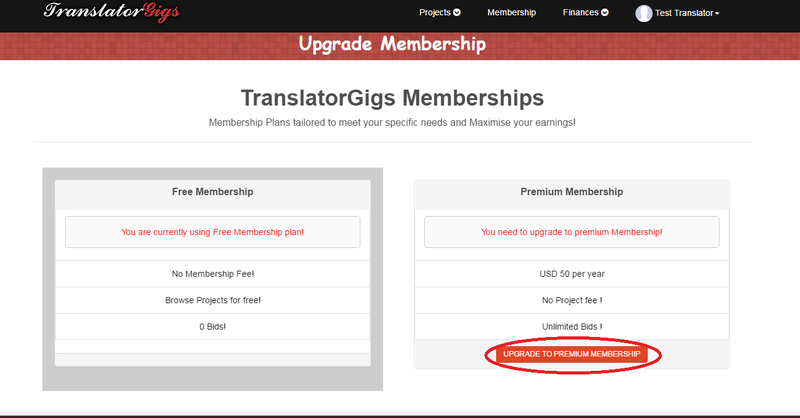 Click on "Upgrade to premium membership" button for payment. For each sponsored bid translator have to pay USD 1. Clients can signup, create a profile, post a project and receive bids from the translators for free.